Refill is designed to fit Listo Marking Pencils. 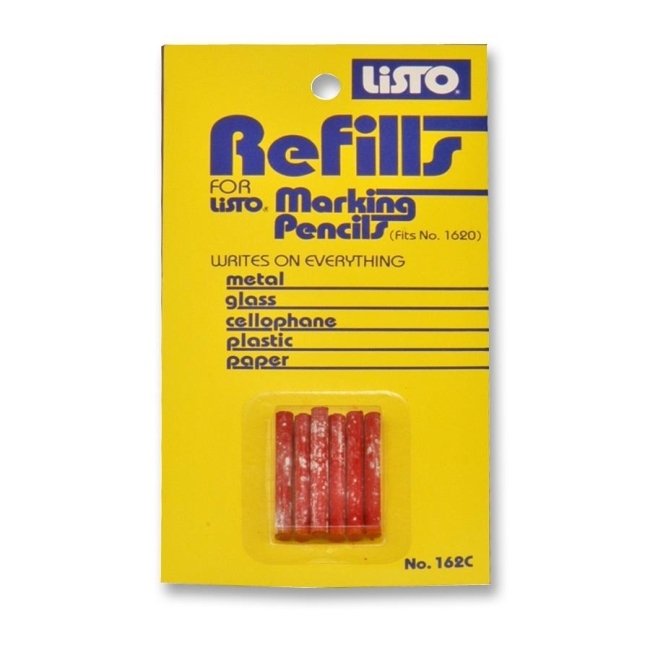 Each marking pencil refill marks on metal, glass or glazed surfaces with a bold wide mark. Refill mark wipes off with cloth.